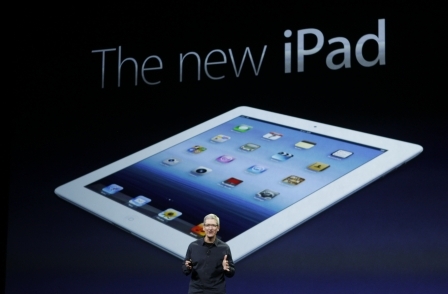 Or, why an Apple unveiling is not just for fanboys. We're told the invite reads “We’ve got a little more to show you", and on Tuesday at the California Theater in San Jose, Apple will present its latest tablet computer. It’s thought to have a smaller, seven (or perhaps 7.85) inch screen and already has been christened the iPad Mini by outsiders. 15 That’s the percentage of the UK population that claims to own a tablet device, while half have a smartphone. Watch both numbers grow between now and the end of the 2012. This is the new frontier for your journalism. 23 per cent of visits to this website come from people using Apple or Android-based smartphones and tablets. It’s a figure that’s likely to be broadly reflective of other UK newspaper and magazine sites. That nearly a quarter of traffic is coming this way – a 150 per cent uplift year on year – means if you’re not taking thinking about these devices when thinking about your digital strategy, it’s time you did. 1 in 10 US tablet owners read newspapers and magazines on their device every day according to comScore. Meanwhile, nearly 40 per cent read a newspaper or magazine at least once a month. Expect similar habits this side of the Atlantic. 93 per cent of Future Publishing’s app subscribers (it has 63 titles in the App Store) have never subscribed to the publisher’s print offerings. That’s a useful number to counter those who insist that digital cannibalises print. Yes, print is in long term decline and that decline maybe structural in nature. But digital provides the opportunity to extend your reach – different demographics, different geography – more than it threatens your existing print subscriber base. 1 million. That’s how many Android devices are activated each day, according to Google. Why does that matter? Because it tells you that the future of publishing on smart devices doesn’t begin and end with Apple and the iPad. Publishers need to have a strong Android story to tell – whether that’s a native app, a web app, a website built on responsive design or an edition that piggy backs on social newsreaders such as Flipboard and Google’s own Currents. In truth, it probably means a combination of all of the above. Only 5 per cent of US consumers have a credit card on file with Google, compared 18 per cent who have an iTunes account with Apple and nearly a third who have an Amazon account. Again these figures are likely to be similar in the UK. This means that right now users buy fewer newspapers and magazines on Android devices than they do on iPads and Kindles – because ease of purchase matters. Google knows these numbers need to change and is aggressively marketing Google Wallet. Watch this space.